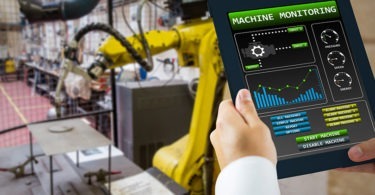 Remote monitoring initiatives and digital twin applications kicked into high gear in 2018, and are moving quickly through most industries. Food/beverage, pharmaceutical, energy and mining are all examining new predictive platforms to achieve increased uptime and operational efficiencies for equipment. In that discussion is the continuing collaboration between Rockwell Automation and Metso, a process equipment and services company in the mining industry. The two partnered in 2017 to create a digital analytics platform to serve the company’s equipment. This first collaboration offered end users the ability to securely collect and store data from Metso’s equipment around the globe, including new equipment as well as machines already in operation. The initial collaboration in 2015 had Metso working with Rockwell Automation on a pilot program, remotely monitoring an African-based mining crusher from a location in Wisconsin. Metso was immediately able to use the data collected to identify opportunities for improvements in machine performance. The most recent step for Metso Metrics, announced late last year at the 2018 Rockwell Automation Fair, is the expansion of this program to include predictive maintenance for certain mining equipment. According to the company, the equipment included in this expansion is Metso’s primary gyratory crushers, cone crushers and vibrating screens. Next in line will be more minerals processing equipment, such as mills. The modeling uses Microsoft’s Azure and Cloud platform, and securely collects data from hundreds of sensors within Metso equipment. Efficient Plant’s Take: There seems to be a well-defined trend emerging in the early years of digital migrations in manufacturing. One is equipment makers providing more monitoring services, like Metso Metrics, and integrating these services into the enterprise’s business model and data analytics. Could this provide analytics in an easier fashion or is this cost prohibitive? We’ll see.